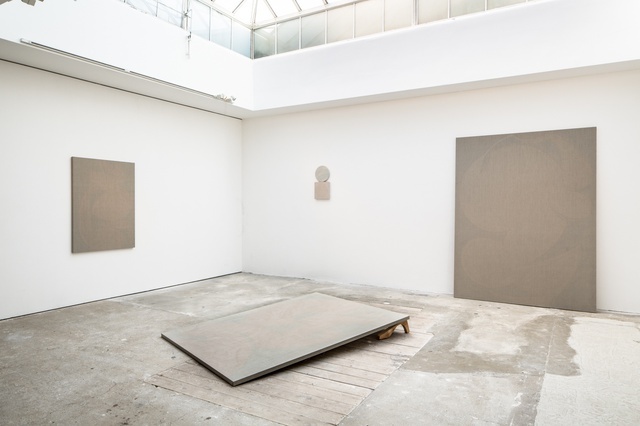 In ‘Drying Time’ at Paradise Row, Yelena Popova meditates on the inevitable, inexorable passing of time, and mankind’s methods of spending this precious common currency. 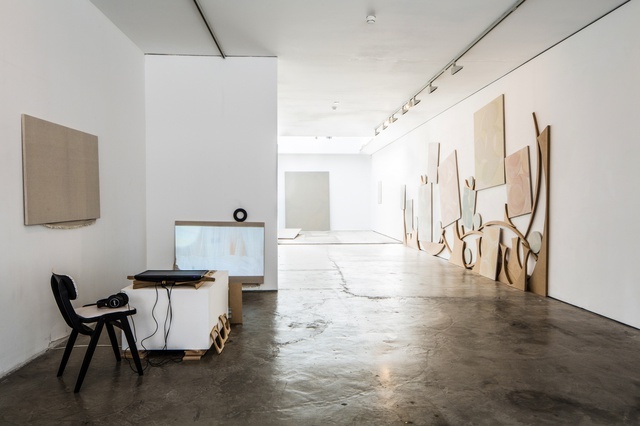 The exhibition consists of a video installation and a series of paintings of various shapes and sizes scattered around a large, white room. Some pictures are hung conventionally at intervals along the wall; others subvert tradition, clustered together and positioned askew, propped up and linked by nondescript wooden components so that they merge into one undulating shape. This interconnectedness gives a sense of the canvases working together to clamber up the blank, institutional walls. Or perhaps, conversely, they are scrambling over each other to get to the top. One large canvas has given up the game completely and lies spent on the floor: time’s up, game over. In its emphasis on the reduction of form, repetition and movement, Popova’s painting recalls the 20th-century movements of Minimalism, Constructivism and Futurism. 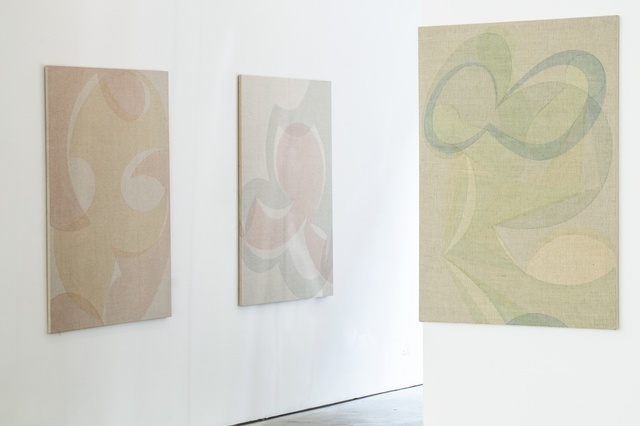 The paintings are homogeneous, featuring pale, pastel-coloured elliptical swirls and globular bulges. In many places the paint itself is so faint and so thin that the linen weave is visible; one is aptly named Invisible Painting. Mostly Untitled, they elude categorisation, although on close examination their abstractions hint at organic, even human, forms. Heads, breasts and gesturing arms slip and slide into view; one work even evokes a pared down version of the Virgin and Child. Are these paintings, or semi-painted installations? Is the focus the invisibility of the paint or the visibility of the canvas? And are they abstract or figurative – portraits, even? In contrast to Old Master paintings in thick, impasto oils, Popova’s canvases would have dried rapidly. There is therefore a sort of reckless freedom in ‘Drying Time’, which features works whose own time drying (and possibly painting time) was almost negligible. Perhaps it is a comment on our technological age, our short attention spans and the need for instant gratification. The fluid motions of the paint could reference the familiar finger-tracings of digital touch screens, which pervade 21st-century life and, for many, represent a modern form of time-wasting. In her films, Popova extends her ‘time’ metaphor outside the confines of the artist’s studio. A silent looped video depicts the monotonous work of a window cleaner, reassuring in its smooth repetition of soapy swirls which mirror the shapes of surrounding pictures. Nearby, the documentary-style film, About Five Minutes Remaining (based on a short story by Ursula Wills-Jones) introduces the ‘Time-sweepers’ – nameless, invisible cleaners of the busy metropolis, who wash, wipe, scrub and clean away wasted time. The narrator explains that, once time has been ‘collected’, it is processed so that the most toxic time is filtered out, and the remainder compressed, stored and redistributed, like a natural fuel. As the voice of reason in our ears, she implores us to ‘be more careful with time’, but notes that the Time-sweepers have no expectations of this happening any time soon. The film ends with an appeal: ‘There is no moral to this story, but please remember, if you were planning on throwing away your time, that someone has to pick it up.’ Perhaps there is a moral to this story, the old adage, ‘Time enjoyed is never time wasted’. Visit this show, before time dries up. 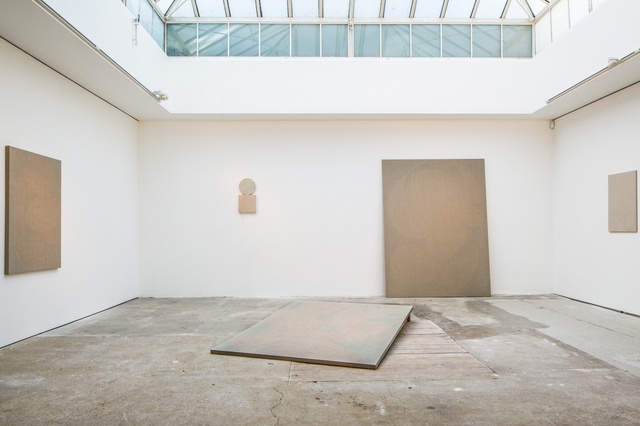 ‘Drying Time’ is at Paradise Row, London, until 10 May.